Speaking to supporters as he prepares to resume a party leadership role, the Democratic D.A. candidate imputes a “down low” style to his GOP opponent. 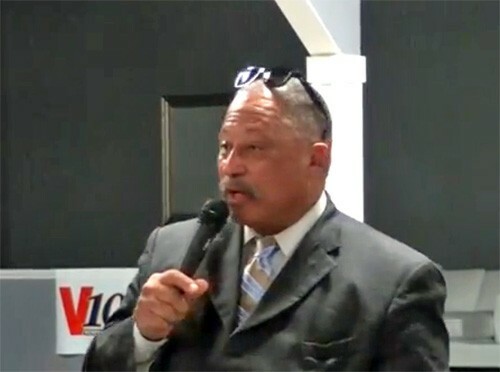 From May 6, when several of his endorsees in Democratic primary elections for countywide office went down to defeat until Tuesday, July 1, when, according to his pre-announced plan, Joe Brown emerged again as a putative party figurehead at a newly opened downtown campaign headquarters, the Democrats’ nominee for District Attorney General had been more or less dormant. Brown had abandoned what, during the earlier phase of the political year, had been an active role of his as a major player on behalf of the Democratic ticket. 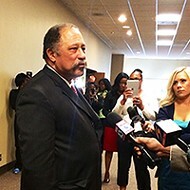 But now, under pressure from other party members and under scrutiny by a curious media, the former “Judge Joe Brown” of a once well-watched TV arbitration program re-emerged, in full damn-the-torpedoes style. Under the head “My Divorce Ain’t Your Business,” Brown’s campaign website published a video of the candidate, who has been rumored to be readying his private resources for the Democratic ticket’s use, addressing the matter of his finances while talking to a small group. Speaking apparently in response to a direct query from Fox 13 News regarding the current state of his affairs after going through a presumably expensive divorce, Brown tries to blow off the inquiry in the clip, changing the subject. What he says next is jolting, indeed — especially given the widespread assumption that he is just now hoping to resume his role as a tutorial voice for his party prior to the August 7 general election and primaries for state and federal office. Smiling wide, Brown strolls about holding a hand mike and says, obviously referencing his August 7 opponent, incumbent Republican D.A. Amy Weirich, “But they could ask her why her husband moved out and took the kids. Why a certain somebody moved in next door to her…I won't hold it against anybody that's their right but some in her community are on her about she needs to come out of the closet and instead of being so low down, she needs to stop being down low." The implication of that is as obvious as it is shocking, and the truth content of it is irrelevant. For the record, though, Fox 13 reports getting this response from Weirich spokesperson Kim Perry: "Amy and her husband are at home right now. 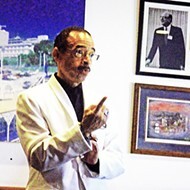 I hope for Judge Brown's sake and the community, that those around him will intervene to get him the help he needs." 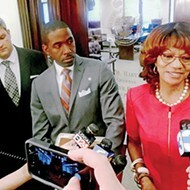 To be sure, Shelby County Democrats had been looking Brown’s way for a sign that he intended to resume his leadership role in a coordinated party campaign. It is doubtful that this is precisely what they expected or can welcome.